It may seem a little strange – dinner for one on the fourth floor of a mid-priced apartment in the city, a bowl of baby carrots supplemented by a glass of water set in front of a weathered Macbook Pro. …is the exact sentiment we don’t want to encourage, but perhaps it’s important to analyze why this trend even exists. In South Korea, millions tune into YouTube or other streaming sites live every evening to watch their favorite mukbang hosts make thousands of dollars per night through viewer donations, advertisements, and sponsorships. But what’s really behind the insane popularity? Regardless of the reason, undoubtedly mukbangs and similar food trends have affected the way that we define what it traditionally means to eat. As clean eating and fitness trends continue to gain momentum, perhaps mukbangs satisfy the need to at least watch what one wants to do. Hence the vicarious lifestyle. Harnessing the power of technology to fulfill basic necessities is an underdeveloped idea, and it’s difficult to eradicate the problems that come with it. Many have criticized mukbangs for promoting binge eating (watching a stranger demolish half a dozen Big Mac meals is wild) and encouraging poor eating habits (eat 10,000 calories or don’t eat at all). Mukbangs, however, only continue to gain momentum as the accessibility of the internet and foreign content allows for a global spread. A quick look at our own doors is testament to this claim. The real intrigue behind this trend doesn’t come from what’s occurring in East Asian countries — rather, let’s look at the effect mukbangs are having at home. In Asian-American college communities where many second-generation students still have close ties to their ethnic roots, the adoption of some cultural trends is almost inevitable. 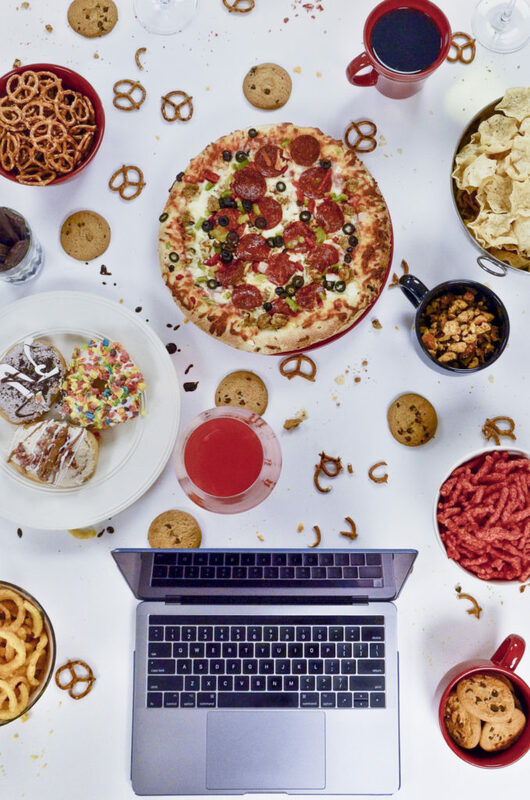 Hain Yoon, a sophomore at the University of Pennsylvania, is quick to admit that she’s an avid fan of watching mukbangs, tuning in multiple times a week to watch Youtubers like Trisha Paytas and Hinoshita Yuka wolf down thousands of calories in one sitting. Such are the ending notes we should be left with. While eating with your eyes may seem just as effective, don’t forget—there are just some things that are irreplaceable, and actual eating is one of them.